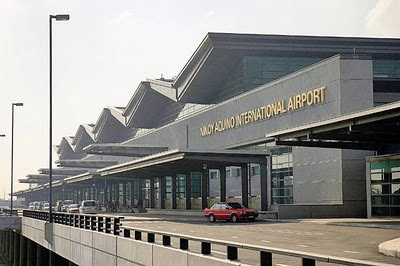 THE Aquino administration is considering to privatize the Ninoy Aquino International Airport Terminal 3 (Naia 3) and other tourism establishments, many of which were built under the term of the late strongman President Marcos. In a lecture before students and faculty of the University of the Philippines’ Asian Institute of Tourism on Tuesday, Tourism Secretary Alberto Lim said government wants to fully operate the Naia 3, built by the Philippine International Air Terminals Co. (Piatco), by June 2012. Cebu Pacific and Air Philippines Express currently operate out of the Naia 3. The dispute over its ownership has deterred many foreign carriers from transferring their flights there. Piatco is coowned by Philippine firm PairCargo and Germany’s Fraport AG, but the Philippine government took over the Naia 3 in 2003, on grounds that there were illegal revisions in the government’s contract with the consortium. In an interview with the BusinessMirror, Lim explained that fixing the terminal will likely involve the original contractor, Takenaka Corp. Details have yet to be worked out whether the Japanese firm will undertake the repairs solely “so government will not spend,” or if the government will spend for the repairs, then bid out the management of the terminal, he said. He said Asia’s Emerging Dragon Corp. (AEDC) now owned by tycoon Lucio Tan is welcome to bid again for the Naia 3 management. When the Ramos administration raised the idea of building Naia 3 in 1996, five of the country’s tycoons formed AEDC and submitted a build-operate-transfer proposal for the project. Being an unsolicited proposal, the project was subjected to a Swiss challenge which Piatco won. Since then, AEDC has been trying to claim ownership of Naia 3. Meanwhile, other tourism establishments owned by the government through the Tourism Infrastructure and Enterprise Zone Authority (formerly the Philippine Tourism Authority) set for possible privatization are the Banawe Hotel and Youth Hostel in Ifugao, Balicasag Island Dive Resort in Bohol, Gardens of Malasag Ecotourism Village in Cagayan de Oro, MacArthur Park Beach Resort in Leyte, Club Intramuros Golf Course in Manila and the Zamboanga Golf Course. “What I’d like to do is to privatize, not compete, with the private sector in running tourism resorts. Before, President Marcos set up the Philippine Tourism Authority, which set up the AIT, in order to get its job started, built resorts in Banawe, in Bohol. “But the government is not good at running a business. So I think, we can get enough visitors. If we don’t market it properly or aggressively or readily, this is not financially viable, or the government keeps subsidizing [their operations]….That’s why we have to privatize some of the assets that we have. The government should play an enabling role, not competing with the private sector,” Lim stressed. 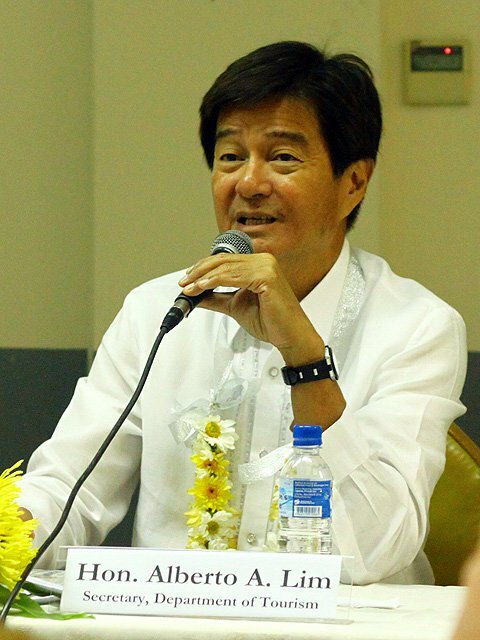 He said the Department of Tourism (DOT) would be speaking to the Department of Finance regarding the procedures to privatize the government-owned hotels and resorts. “My goal is to sell these assets by 2016, and raise funds for the government,” Lim said. He added the DOT will also conduct a “highest invest-use study” for these assets “to get maximum returns for the government,” before they are sold. There has yet to be an assessment how much these DOT assets are worth, which is needed so a floor price can be set before these are privatized. • Engaging various sectors (e.g., national government, local government, private sector, nongovernment organizations, academe and local community) in tourism development. “We are a country with many young people who don’t have jobs. So instead of exporting our young people abroad, why don’t we bring the old people of different countries here, and we can give them care?” Lim asked, in suggesting that the Philippines offers itself as a retirement haven. While MICE is an old product, he added that the Philippines has lost its “competitive edge” in this category vis-à-vis its other neighbors, such as Malaysia and Singapore. Well, that would be nice. I think our country has a lot to boast to the world thus promoting tourism would be a good idea. I hope the government and the new administration will be successful in implementing it. Good tourism means more labor, employment and income. I believe there is nothing wrong in privatizing government properties to gain income which will be returned to the public. Hopefully that will be implemented and not will just turn out into another corruption of some government officials.